“Location, location, location” might be one of the most used expressions in the real-estate profession, but the principle applies just as much to choosing an office space as it does to the customer, which is why The Premier Property Group has chosen to open its newest location in the heart of Niceville. The Premier Property Group (PPG) has announced it will open a fourth office location, bringing their luxury real estate presence to Niceville. 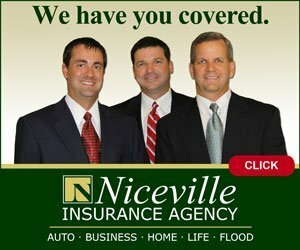 Aptly known as “The Nicest Little City in the South,” Niceville offers safe neighborhoods, award-winning schools, varied local businesses, and a city government focused on its residents. The Premier Property Group’s office will be located on John Sims Parkway near the new Starbucks. Construction is underway at the new location with the group anticipating to be open by Summer 2018. This allows The Premier Property Group to conveniently serve the buyers and sellers in Niceville at the center of the city in one of the newest shopping centers close to restaurants and neighborhoods. With over 490 Million sold in 2017, The Premier Property Group is currently interviewing new agents for their new Niceville office. The PPG is a proud member of Leading Real Estate Companies of the World®, the largest network of invitation only independently owned real estate firms, with 565 brokerages and 130,000 associates in over 60 countries. Globally, they represent the best of the best and have more top sales associates than any other network. Through Luxury Portfolio, PPG agents have unprecedented power when marketing luxury properties or attracting high-end buyers with tools like the award-winning LuxuryPortfolio.com, which showcased over 50,000 properties last year with an average price of $2.5 million and attracted traffic from an average of over 200 countries per month. For additional information on becoming a part of the #1 Independent Luxury Real Estate Brokerage on the Emerald Coast, please visit ThePremierPropertyGroup.com or call (850) 337-1555. The Premier Property Group will now offer four office locations strategically situated to offer both convenience and ease to real estate customers in South Walton, Destin, and Niceville. The 30A offices include locations in Seacrest and WaterColor, both in high profile pedestrian communities that encourage foot traffic. The Sandestin office is in the bustling town center of Grand Boulevard, while a new state-of-the-art office is under construction at Seascape Towne Centre. 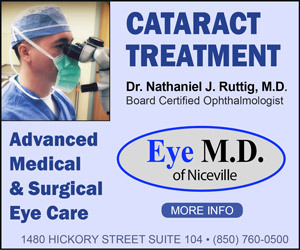 Their fourth and newest location will be located in the heart of downtown Niceville. Find a team of accomplished sales agents at each location ready to help serve your real estate needs whether selling or purchasing property in Northwest Florida.